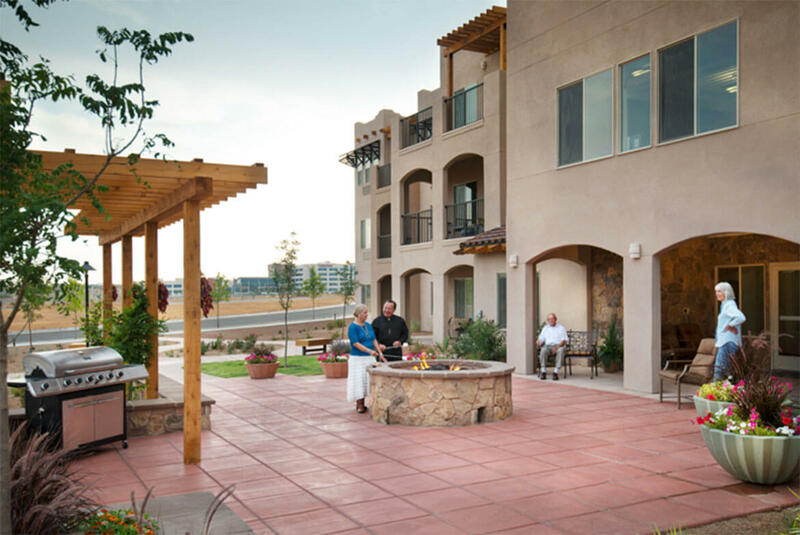 Rio Grande Gracious Retirement Living is designed to emphasize the dramatic views for our residents while creating an environment that encourages physical and social activity. 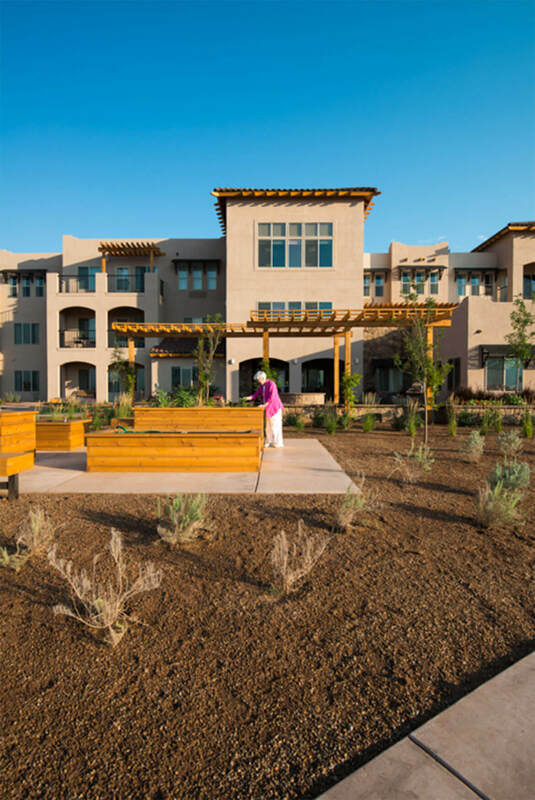 The building and its features are designed to harmonize with the surrounding area while preserving the breathtaking desert and mountain views for our neighbors. Common areas include a theater room with comfortable theater seating, a bistro & coffee bar, exercise room, craft and activities room, library, salon, gym, tenant laundry rooms, large sitting areas with covered porches and an outdoor fire pit, on site manager, commercial kitchen, private dining room, floor to ceiling atrium, TV/reading/computer room, chapel, and two elevators. Each unit features a deck or patio and a kitchenette with a full size refrigerator. 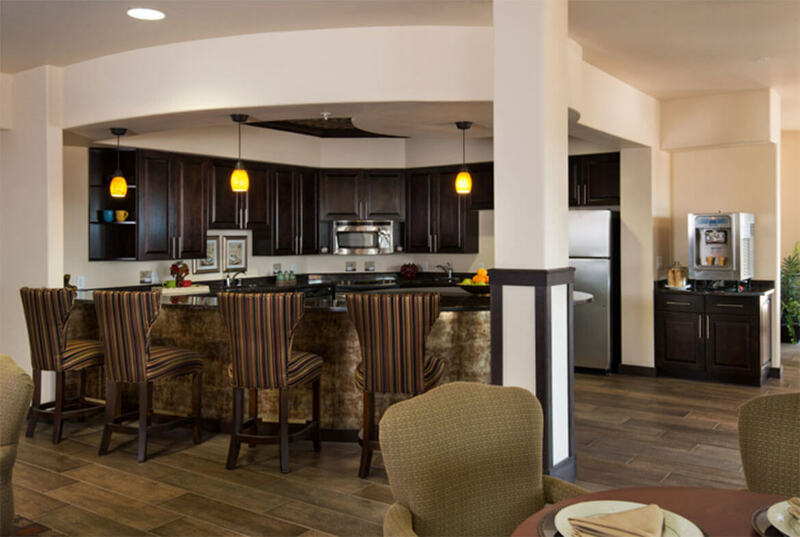 The Rio Rancho is strategically designed to position many of the units and activity areas towards the spectacular views of the mountains and city lights. We have also provided additional shared covered patios and seating areas to allow our residents to enjoy the climate and vistas. 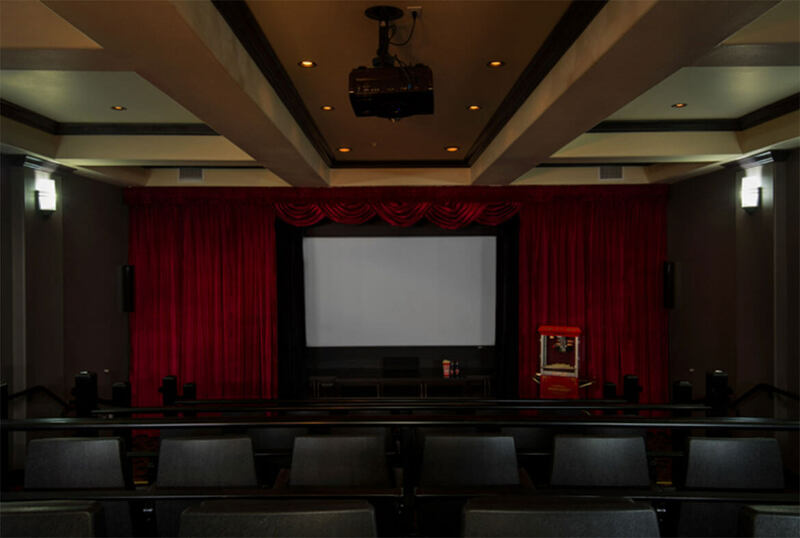 The facility is designed around a central courtyard–a traditional design element in Southwest homes. We used simple building detailing and materials of stone, stucco, and tile roof accents to integrate into the natural environment. Wooden shade trellises were used along with metal window awnings to improve the solar efficiency of the structure.